Here is our task list for the Twin Oaks Garden in March. We’re zone 7, our average last frost is April 20. You’ll need to adapt this information for your climate. 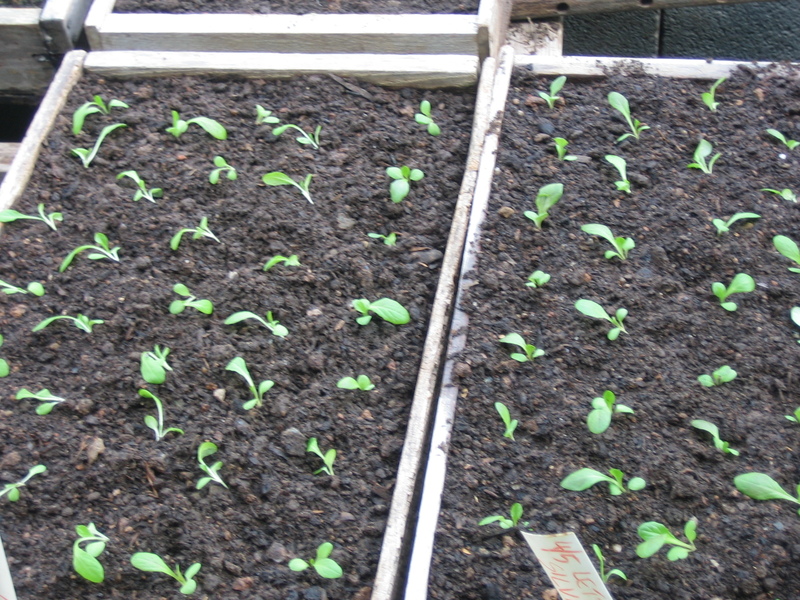 Lettuce factory during March: Transplant 1/3 bed each, for sowings #1, 2, 3. Cover. Sow #5, 6 this month. 1st March: chit seed potatoes in flats for 2-4 weeks with bright light in basement. Check irrigation and hoses. Buy replacements as needed. Buy twine: make up to 6 binder and 2 baler twine. Inventory cover crop seeds, buy buckwheat, sorghum-sudan, pearl millet, clover or other summer cover crops. Compost needed in March: 6-9 tractor buckets for beds, 8-20 to disk in. Compost and till raised beds for April plantings – carrots #4 & 5, lettuce 4-6, beans #1. Sow radishes, (spinach), turnips, scallions #2 and cover. 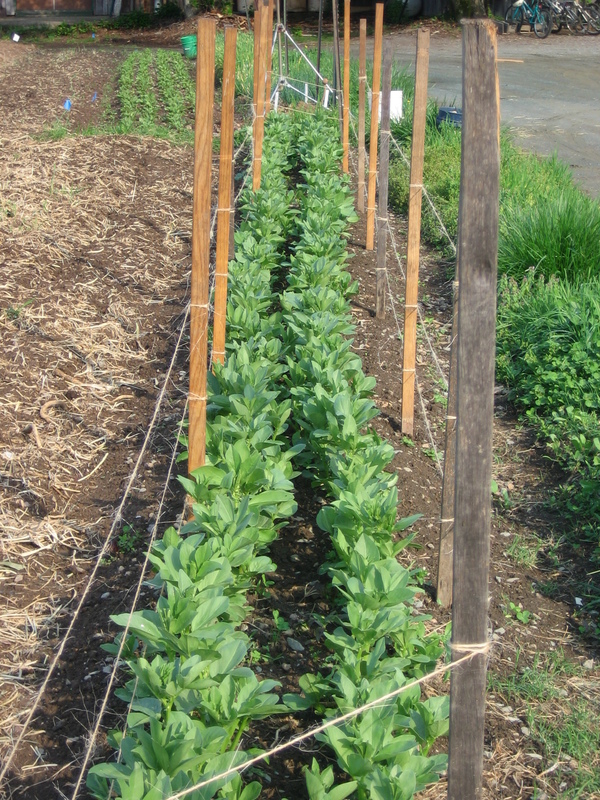 Last date for sowing fava beans is 3/14. Sow peas only 1/2″-3/4″ deep. Cover. Transplant fall sown onions ½-3/4” deep, when no thicker than pencils; cabbage #1, lettuce #1. 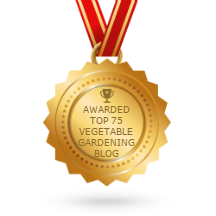 In greenhouse sow peppers, eggplant, hoophouse squash, Alyssum, bulb fennel, broccoli #3 (1 week after #2, quick, heat tolerant varieties). Test and condition sweet potatoes for 2 to 4 weeks at 75- 85°F, 95% humidity. Cut seed potatoes and heal for three days: two buds on each piece, one for insurance. Ginger too. Plant potatoes when the weather becomes suitable (when daffodils bloom.). Reduce sprouts/piece to 2. See Perfect Potato Planting card. In greenhouse: sow main crop tomatoes, lettuce #5 [sesame]. Protect cabbage and broccoli at 5-8 true leaves from cold stress (<40°F for a few days, or longer at 50°F). 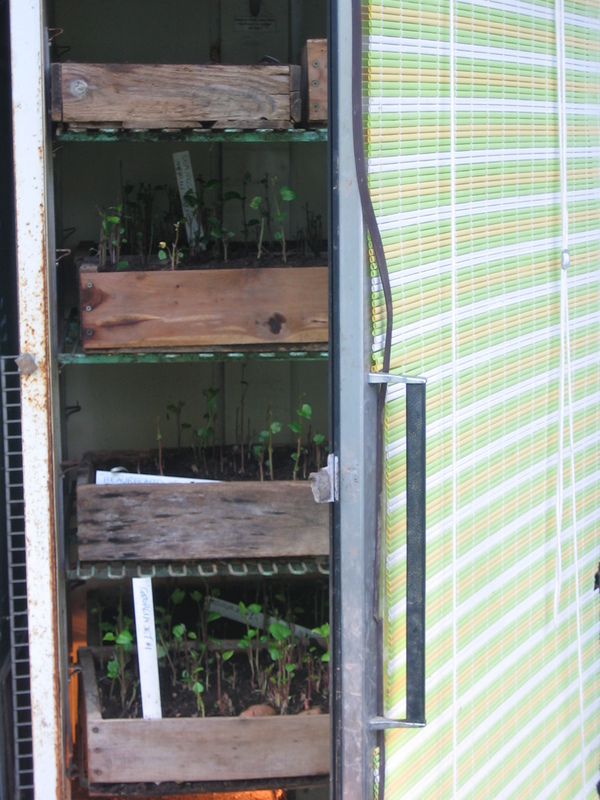 Plant sweet potatoes in flats in glass door germinator cabinet. Transplant collards, kale, kohlrabi, senposai, lettuce #2, scallions #1, mini-onions. [spring-sown onion seedlings in clumps @12″, 1/2 to 1” deep]. Till raised beds before weeds seed, and sow oats (by 31st) if not needed for 6 weeks or more, (eggplants, cucumbers, squash, tomatoes, celery, later lettuce). Sow clovers until 3/15 for long-term cover; or winter rye to wimp out (it does not head up in warm weather). Divide and transplant rhubarb, if needed. Sow carrots #3, turnips, beets. Presoak beets 1-2 hours, (not more), sow 1/2″ deep, tamp soil after covering. 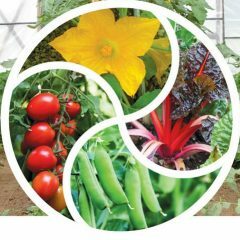 In greenhouse: sow Roma tomatoes, lettuce #6, nasturtiums, chard and leaf beet in soil blocks or plug flats; squash #1 & cukes #1 in blocks or plug flats (not before 3/25). Spot eggplant. Sweet Potatoes: Cut slips at 6 to 12”, put in water. Once a week, plant rooted slips in 4” flats. Plant ginger in flats or crates. Buy seed potatoes for June planting, and refrigerate them. Keep at 40-50°F in the dark, until 6/1. Sow leeks & other little alliums in seed bed, update map; carrots #4 outdoors. Sow kohlrabi if transplants fail, thin to 6” later. Transplant scallions, mini-onions, (shallots), lettuce #3. Compost & till beds for late April planting: cucumbers #1, edamame #1, squash #1, peanuts, celery, parsnips, chard, cowpeas #1, (sesame). Can sow oats till 3/31 in beds not needed for 6 weeks. Work on the Perennials in March: Really finish weeding, fertilizing and mulching them! Early in the month plant new blueberries, grapevines, raspberries, strawberries if not done in fall. Divide and replant rhubarb if needed. Water if needed, especially new beds. Set up irrigation and ropes where needed. Put up ropes for raspberries, mow between grapes. Maybe till up aisle in grapes and sow clovers & grass. Irrigation Sprinklers: 3 sprinklers, 8 hours = 5000 galls, 3 drip-zones, 2 hours = 2160 galls, well output = 15 gpm, hydrant = 7.5 gpm. Harvest in March: Chard, collards, garlic scallions, kale, leeks, radishes, (senposai), spinach. 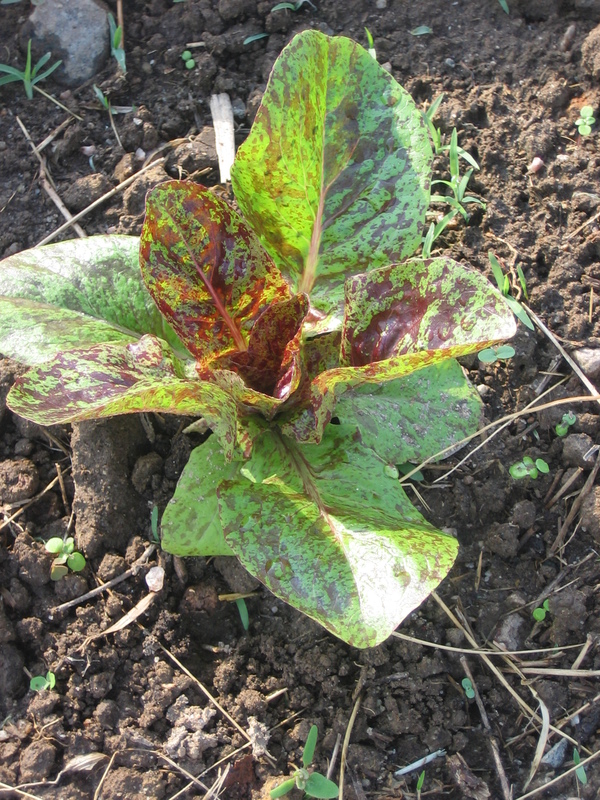 Freckles lettuce is a cheering sight in spring.